When you top baby arugula and smoked salmon with a poached egg you get salad for breakfast. 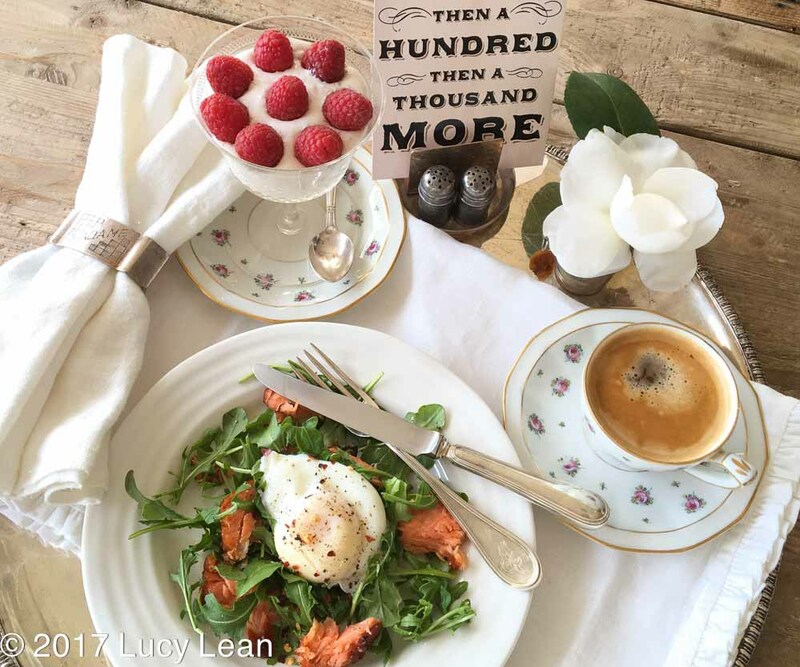 This classic Lean Luxury Breakfast Tray Fit for a Lady proves that salad for breakfast is a thing. 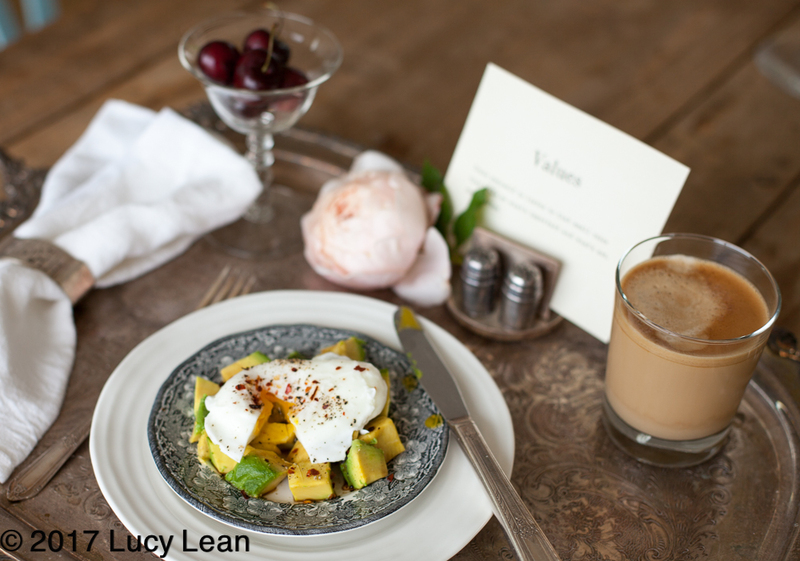 Poaching an egg is so easy and an essential skill to have for making delicious and nutritious Lean Luxury breakfasts. Actually, most meals are improved when topped with a poached egg, for example Avocado Toast with an egg on top makes a great breakfast, lunch or dinner. The salad with the smoked salmon, topped with a perfectly poached egg and a sprinkling of red chili flakes is a great way to fill up on the good stuff, add protein and heart healthy omega-3 fatty acids to your diet and put off cravings around elevenses. 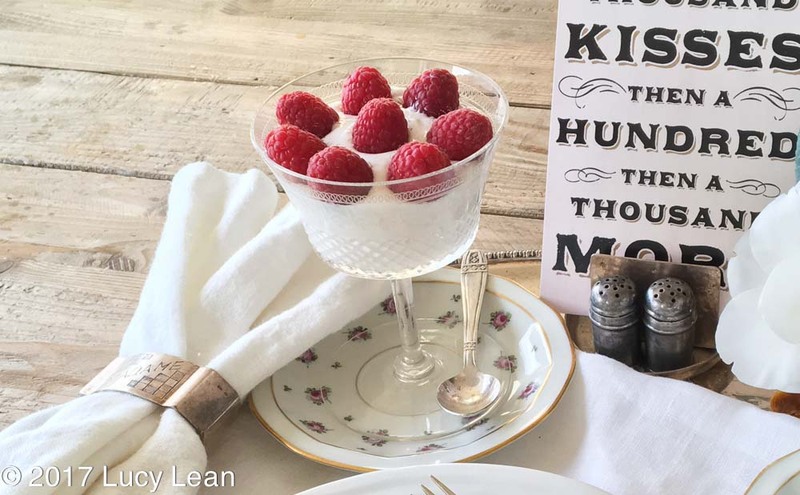 I also love to add yogurt with raspberries on top in a vintage glass, a flower from the garden, a note or quote and some extra whimsy. 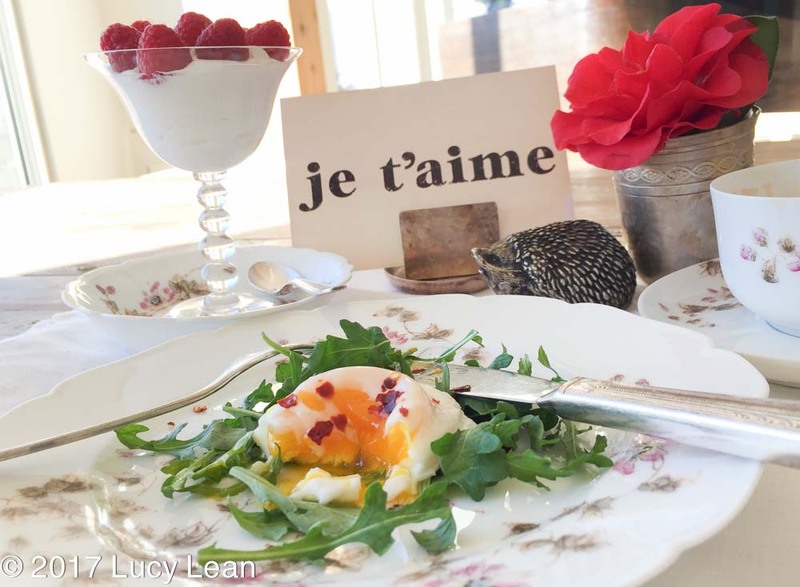 The perfect Lean Luxury Breakfast Tray fit for a Lady – want to get a few ideas for how to dress up your own breakfast then check out the Props for the Breakfast Tray Fit for a Lady. Fill a non-stick frying pan with water (approx 2 inches deep), bring to a boil and turn heat down to medium. 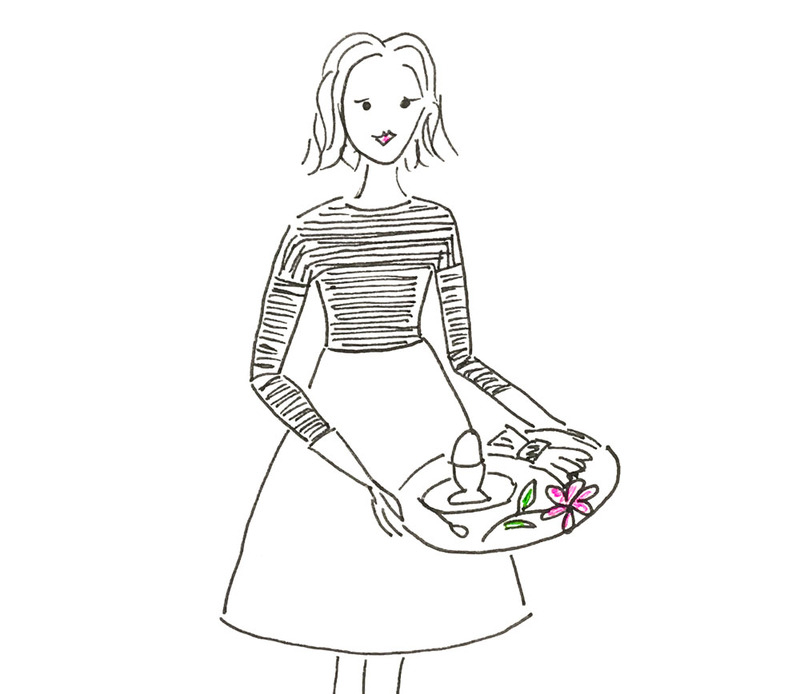 Crack the egg into a tea strainer to drain off the watery whites and gently tip into the water. If egg isn’t covered add more water. Cook until the white turns opaque over the yolk, about 4 minutes. Scoop out of the water with a slated spoon and remove excess water by placing the spoon with the egg on a paper towel. Place arugula in middle of plate, drizzle with olive oil and top with poached egg. Sprinkle with chili flakes. Add to your tray.